If you are looking for VR Ready AMD Ryzen Processors, then you have landed in the right place. AMD which is known for providing high-end processors at relatively lower prices has lined up new processors that will give your system the most demanding processing power it needs to run VR workloads, a.k.a Virtual reality. Virtual reality is something that allows everyone to experience the impossible. Virtual Reality is the term used to describe a three-dimensional, computer-generated (CGI) environment which can be explored and interacted with from a first-person view. Since AMD has provided the detailed specs for VR ready systems, we have compiled a list of AMD Ryzen VR Ready Processors. AMD has divided its VR ready processors into two segments, one is AMD VR ready processor, and another segment is AMD Ryzen VR Premium processors. The operating system should be Windows 10 64-bit or newer. VR software that will boost the Virtual reality experience. Premium processors are obviously are more advanced and packs more power than the former segment. We have covered AMD Ryzen VR Ready premium processors here. 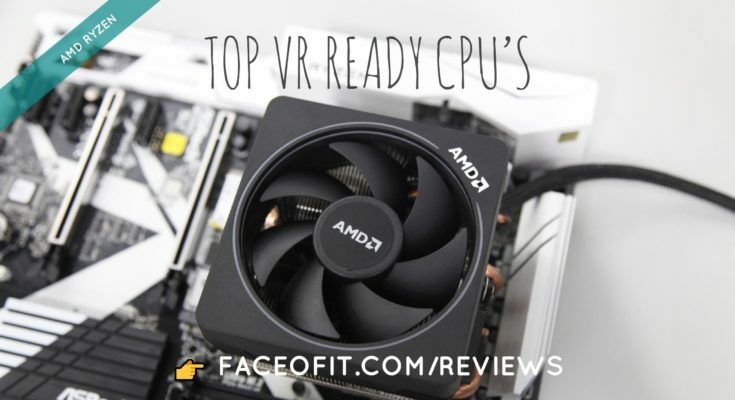 In this post, let’s check out what AMD offers in the affordable segment of VR ready processors. Starting the list with the AMD Ryzen 5 1400 that is designed to provide performance gaming and processing. AMD Ryzen processors come with simple and robust overclocking utility for AMD Ryzen processor. So you can personalize performance as per your requirement. AMD Ryzen processor with Ryzen master also provides real-time system monitoring and a histogram of per-core clock rates and temperature, including average and peak readings. Coming to the specification of AMD Ryzen 1400 is a four-core processor with eight threads. The base clock speed is 3.2 GHz with mac turbo core speed up to 3.4 GHz. The maximum system memory speed is 2667 MHz for DDR4 with two memory channels. The AMD SenseMI technology, making it a neural network. This technology helps AMD Ryzen processor to customize its performance to cater to your applications. AMD Ryzen 3 1300X is the quad-core unlocked processor for responsive gaming and everyday computing. It features the “Zen” Core Architecture built with AMD SenseMI technology that makes it a truly adaptive processor. 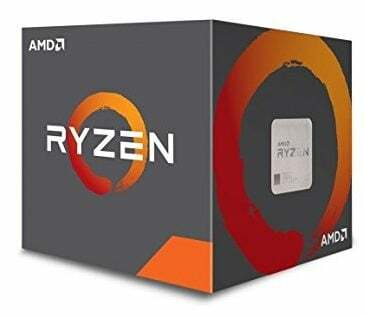 This processor also comes with particular neural network capability that thinks, learns and its adaptive features help the AMD Ryzen processors to customize performance as per the requirement of the applications (branch prediction, prefetch). Rest of the software support is same like the Ryzen 5. Coming onto the specs, where this processor stays a step back than the Ryzen 5. It is a quad-core CPU with four threads. The base clock speed is 3.5 GHz with turbo core speed up to 3.7 GHz. The L3 cache memory is 3MB. It is unlocked CPU so that you can customize the clock speed frequency as per your need. The last AMD Ryzen virtual reality ready processor is Ryzen 3 1200. It is the Ryzen series entry-level processor. Just like rest of the Ryzen processors, it is also designed for intense gaming and multitasking. It also packs the same features like the AMD SenseMI technology with a neural network that gives it learning capabilities and customize the performance as per application demand. If you want to try out the VR and don’t want a hole in your pocket, AMD Ryzen 3 1200 could be the best bet for you. This and above processors meet or exceed the current top VR-HMD manufacturers Oculus Rift or HTC Vive minimum specifications for processors to provide a playable experience for the user. Ryzen 3 1200 is a quad-core processor with 4 threads. The base clock speed is 3.1 GHz with turbo boost up to 3.4 GHz. The L3 and L2 cache memory is 8 MB and 2 MB respectively. There is not much difference between Ryzen 3 1200 and Ryzen 3 1300X regarding CPU architecture. RAM support, maximum temperature bearable limit and the thermal solution is same in all the three Ryzen processor here. The only difference is in the tuning of the clock speed and no of threads to handle the multitasking efficiently. All the three AMD Ryzen processor are VR ready. We have already talked about the AMD Ryzen VR ready processors; Now it’s time for the Ryzen series Premium processors that exceed the requirement of the current top VR-HMD manufacturers Oculus Rift or HTC Vive minimum specifications to give the playable VR experience. Now you have got the idea about the PC requirements and Virtua Reality, now let’s jump to the list of the AMD Ryzen VR Ready Premium processors. AMD Ryzen VR Ready Premium processors are for those users who demand a premium VR experience. They are a bit expensive, but quality comes with the price. Starting the list with the entry-level VR Ready premium processor. Ryzen 5 1600 is the cheapest AMD processor that will provide you premium VR experience. It is a high-performance gaming processor featuring four cores and 8 threads, plus XFR. Ryzen series processors are unlocked, so you get the advantage to tune the clock speed as per your requirement. AMD Ryzen Master utility tool will provide simple and robust overclocking. This will also help you to monitor the performance. The AMD SenseMI technology that thinks learns and adapts itself as per the demand of the application. As far as virtualization is concerned, it provides the AMD Virtualization (AMD-V) technology. It is a set of on-chip features that help you make better use of and improve the performance of your virtualization resources. The base clock speed of this CPU is 3.5 GHz with max turbo core up to 3.7 GHz. The L1, L2, and L3 Cache memory size is 384 KB, 2 MB, and 16 MB respectively. It comes with Wraith Spire for heat dissipation. 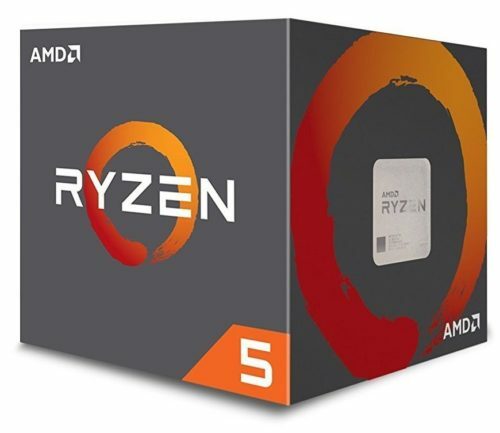 AMD Ryzen 5 1600 is another upgraded variant of the previous processor. It features the AMD’s high-performance x86 Core “Zen” architecture delivers more than 52% improvement in an instructions-per-clock cycle over the previous generation AMD core. Like all the other Ryzen processors it is also manufactured with the 14nm process. It is equipped with AMD SenseMI technology and AMD Master Utility tool like above processor. All the AMD Ryzen processors are equipped with this technology and same tools so that we won’t be repeating this anymore. The new AMD AM4 Platform puts effortless compatibility. The new 1331-pin processor socket works with the 7th Gen AMD APU. The one Socket AM4 motherboard that works with the AM4 processor will support USB 3.1 Gen 2, NVMe, or PCI Express 3.0. It is a 6 core CPU with 12 threads, make its multi-threaded performance better than the Ryzen 5 1500X. Whether it is gaming, multitasking or Virtual Reality, the performance is silky smooth. The processor is clocked at 3.2 GHz with max turbo core up to 3.6 GHz. The L1, L2, and the L3 cache memory are 576KB, 3 MB, and 16 MB respectively. The top-end variant of Ryzen 5 is 1600X. It is the fastest 6-core, 12 thread desktop processor. It comes with actual machine learning intelligence and XFR. It will provide the smooth virtual reality gaming experience and advanced multi-processing performance. The best part of this processor is its seamless performance thanks to the 6-core, 12 threads that are clocked at 3.6 GHz that goes up to 4 GHz with max turbo core. It is manufactured on the 14 nm process on the AM4 platform that supports all the latest standard I/O ports. 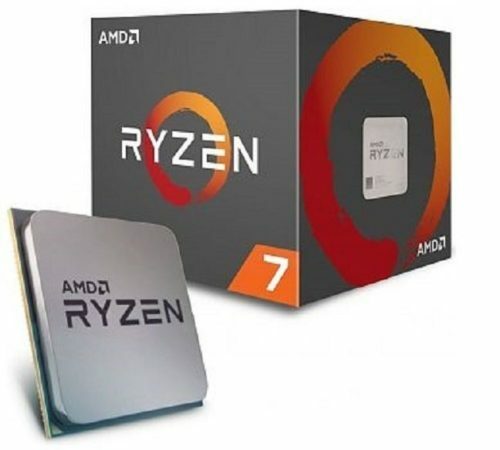 AMD Ryzen 7 1700 is the entry level variant of Ryzen 7 series processors. It exceeds the requirement of the processor required to experience the virtual reality. It is an 8-core, 16 threads CPU with astonishingly efficient 65W TDP. Ryzen 7 1700 VR ready premium processor is clocked at 3 GHz frequency with max turbo core speed 3.7 GHz. The cache memory that helps in faster computing is of 768 KB L1, 4 MB L2, and 16 MB L3. It is an unlocked CPU for overclocking to meet the gamers demand. The Wraith spire cooler with RGB LED control for efficient thermal cooling. Price is going up so is the performance. It out beats the Intel Core i7-7700K processor in various tests. It will let you enjoy the premium gaming that includes VR games and 4K games. The AMD Ryzen 7 1700X raise the bar to the higher level. It comes with real machine intelligence featuring 8 processor cores, 16 threads, and Extended Frequency Range (XFR). Ryzen 7 is all about the high-speed performance and multi-tasking. With Ryzen Master Utility, you can simply overclock this processor to do extraordinary things. Ryzen 7 1700X is clocked at 3.4 GHz with max turbo core speed 3.8 GHz. This processor comes with a total of 20 MB cache memory, that is 4 MB L2 cache and 16 MB L3 cache memory. The maximum system memory speed is 2667 MHz supporting DDR4 type with dual channel. AMD Ryzen 7 1800X is the pinnacle of desktop processing power. It features the true machine intelligence thanks to the integrated neural network that learn and customize itself to meet the application demands. It is an 8-core processor, 16 threads having the highest clock rates. 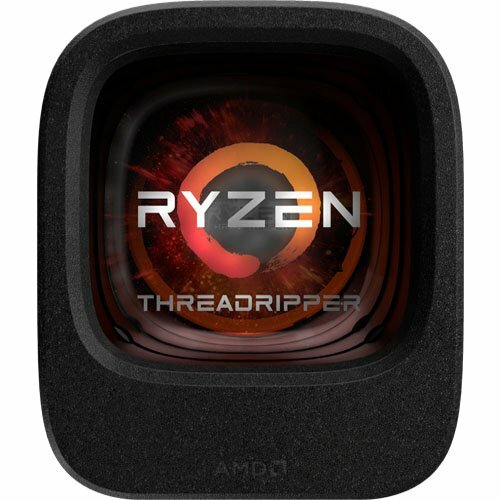 AMD Ryzne Threadripper packs overwhelming power. 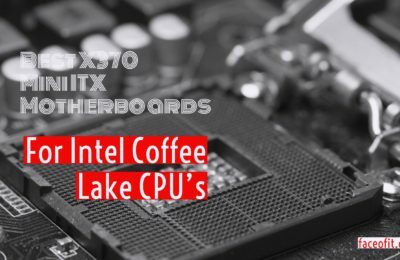 It is designed to provide incredible multi-processing power on the X399 ultimate platform for the desktop. It is a 12-core processor provides astonishing 24 threads of simultaneous multi-processing power. The 38 MB of combined cache and vast I/O compatibility makes it a beast. Threadripper 1920X comes with an unprecedented 64 Gen 3 PCIe lanes. It gives limitless expandability for users to meet their high-end GPU and NVMe storage needs. The processor is clocked at 3.5 GHz with max turbo core speed of 4.0 GHz. This processor comes with around 40 MB of cache memory in total. Ryzen Threadripper stands as the pinnacle of consumer CPUs for high-end users. The last and the top-end processor of is AMD Ryzen Threadripper 1950X. If you don’ want to compromise with your virtual gaming, this one is for you. Threadripper 1950X packs overwhelming power in a compact and power efficient the design. AMD Ryzen Threadripper processor aims to provide indisputable multi-processing supremacy on the X399 ultimate platform for the desktop. The 16-core provide astonishing 32 threads of simultaneous multi-processing power. The 40 MB of combined cache memory boosts the multitasking and virtual gaming. This processor supports Quad channel DDR4 with the assistance for ECC for reliable throughput. It is clocked at 3.4 GHz base clock speed with max turbo core speed of 4 GHz. It is unlocked CPU that can be overclocked easily with the AMD Master Utility tool. It is built on the 14nm FinFET manufacturing process. The default TDP is 180W. Ryzen Threadripper 1950X is so far the best processor coming out from the AMD. AMD’s current portfolio contains a wide range of VR Ready AMD Ryzen Processors. All the current Ryzen lineup should be able to handle any VR related workloads comfortably. It’s your budget that should finalize your processing needs. We expect more from AMD’s Ryzen lineup. We will update once the newer CPU’s are available. In the meanwhile, if you have any questions or suggestions, please use the comment section below.